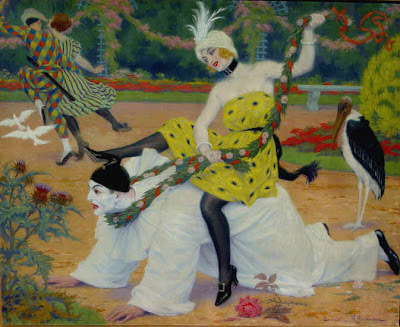 The painter and lithographer Ludovic Alleaume was born in Angers (Maine-et-Loire); for some reason a mistaken belief that he was born in Russia has taken root on the internet. Alleaume was a pupil of Ernest Hébert and Luc-Olivier Merson at the Beaux-Arts, Paris. He exhibited with the Salon des Artistes Français from 1883 to 1938. 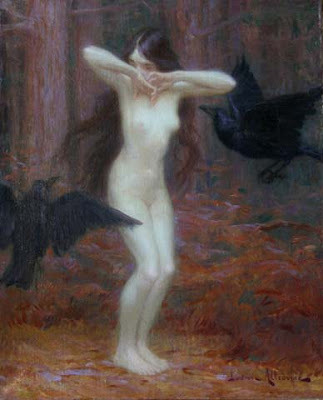 From 1894 Ludovic Alleaume also exhibited with the Société des Peintres-lithographes. In 1890 he travelled to Palestine, making many sketches on which he relied in his subsequent Biblical paintings. Alleaume also painted portraits and landscapes, and painted murals in churches. In style, Alleaume remained faithful to the academic tradition, unaffected by new movements in art subsequent to the Barbizon School.